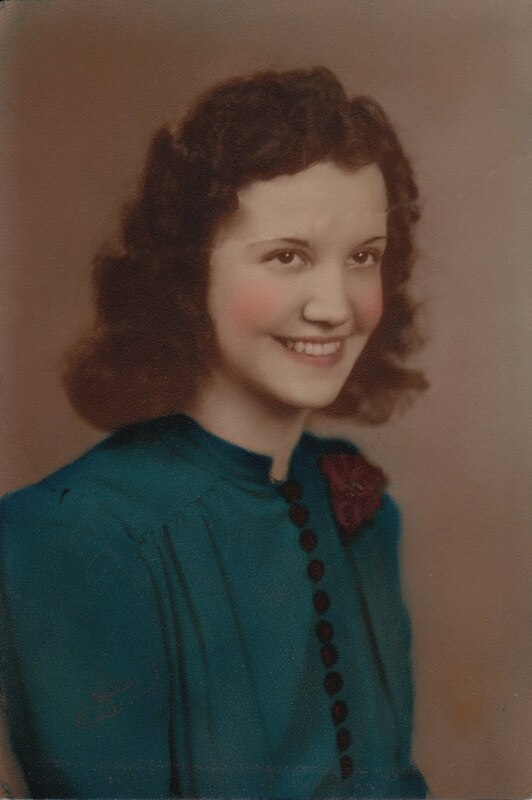 The Gilded Slipper: My grandmother, circa 1939. I wanted to share this photo of my lovely grandmother, who helped raise me, and who is the greatest inspiration when it comes to vintage looks. This is her senior photo, and as she graduated in 1940, my guess would be that this was taken in late 1939. I love that dress! The photograph was torn when I found it, but I tried to repair it digitally.